Spring-break week is approaching to Central Texas and other states. 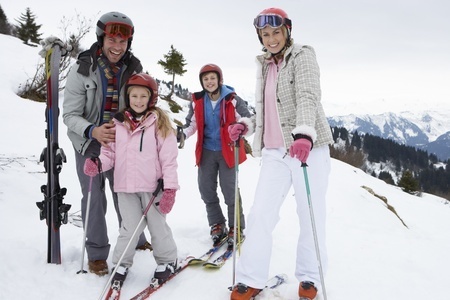 Many families are preparing for a trip to the surrounding areas to enjoy a variety of snow sports, which are very popular at this time of the year. We can never emphasize enough the importance of preparation and anticipation when dealing with snow sports. Protective, insulated clothing and the use of a helmet are musts. We recently witnessed the snow skiing accident suffered by Formula 1 champion Michael Schumaker. While the extent of his injury would not be prevented entirely by the use of a helmet, since other factors such as speed and the characteristics of the terrain played an important role, experts commented that his helmet had definitely saved his life. In addition to wearing a helmut, it’s important to remember that when skiing in far away, isolated areas, plan an evacuation route and carry with you an emergency number in case you need to call for help. Make sure your children and other members of your party are aware of the plan and know whom and how to call for help. Head injuries are tricky and it is difficult to assess the severity of the concussion in the immediate moments following and accident. If the injury involves loss of consciousness, even when it is regained after a few moments, it is safer to go to the ER for evaluation and observation. “The American Academy of Pediatrics (AAP) advises all children and adolescents to wear helmets in snow sports. Some states have laws requiring people under age 18 to wear helmets for snow sports. Yours might be one of them, and for good reason. Snow sports-related head injuries like concussions, fractures and other skull injuries are becoming more common among kids. They make up about one-fourth of injuries children and adolescents suffer when participating in snow sports, according to a recent study. Children and teens ages 7 to 17 years have the greatest risk of injury. Skiers often are injured after running into objects, such as trees and lift poles. Snowboarders are injured most often after falling. This is why snowboarders should wear wrist guards in addition to helmets, according to the AAP. When choosing a helmet, select one designed for skiing and snowboarding. The helmet should be rated/labeled as ASTM F2040, CEN1077, Snell RS-98 or S-98. This mean it meets the required safety features for that activity. Wearing a helmet designed for another sport may not protect your child as well from a fall or blow to the head. Your child should try on the helmet to make sure it fits properly. It should be comfortable but snug on the head. It should not tilt forward or backwards. When your child shakes his head from side to side or up and down, the helmet should not move. This is the latest advice from AAP News (www.aapnews.org), Vol 35, number 3, for the month of March, 2014.